Rough Seas Net 3 Kings, 2 Browns & 1 Lake Trout for Simunov Party! 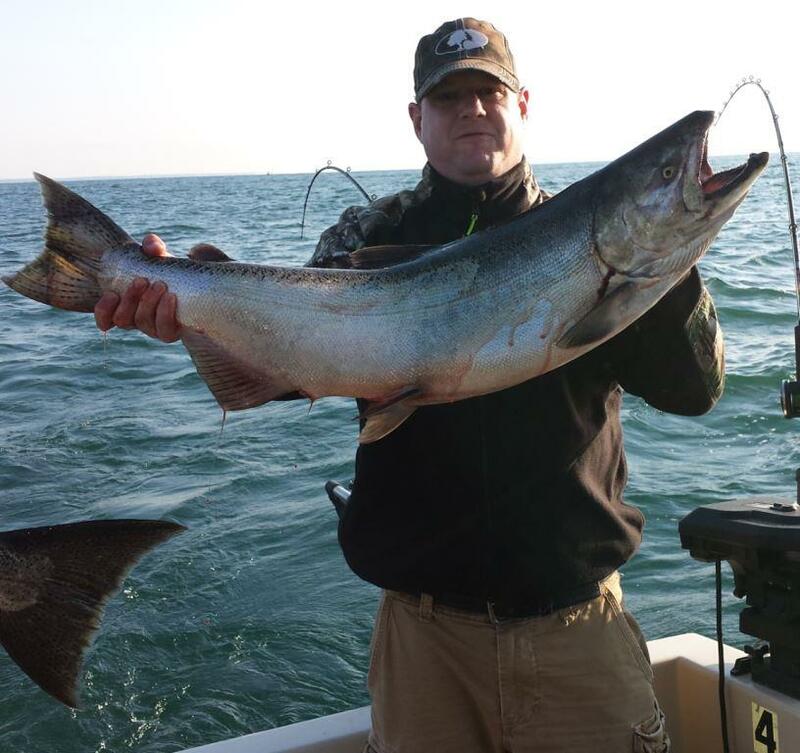 It seems like the same old story, but the wind is keeping Lake Ontario stirred up and making it challenging for charter fishing the past few days. But on Sat., July 28th, the Steve Simunov party went out with Milky Way Fishing Charters for a day of fishing and putting up with the rough seas. This time the fishermen caught 3 big Kings along with 2 Brown Trout and 1 small Lake Trout. The smiles on their faces as they posed for pictures while bracing themselves in the back of the boat proves that it was all worth it! Limited Fishing Still Nets Nice Catch! On Sunday, July 22nd, the Andy Monaghan party tried their luck with fishing on Lake Ontario. Lots of Fish Caught on Charter for Grandsons! On Thurs., July 19th, Colton and Aaron went out fishing with Milky Way Fishing Charters booked by their grandmother, Joan Finegan.